The 268-room luxury hotel wins the Travelers' Choice Award for the sixth time in a row. Carlton Tel Aviv announced being selected as a TripAdvisor 2019 Travelers’ Choice Award Winner, proudly honored in two categories. This year marks the sixth-time-ever for Carlton Tel Aviv to win the prestigious Traveler’s Choice Award — an award recognizing remarkable service, value and quality. Voted for by travelers worldwide, TripAdvisor’s Travelers’ Choice Awards recognizes the commitment to excellence which Carlton Tel Aviv has demonstrated in the last twelve months. 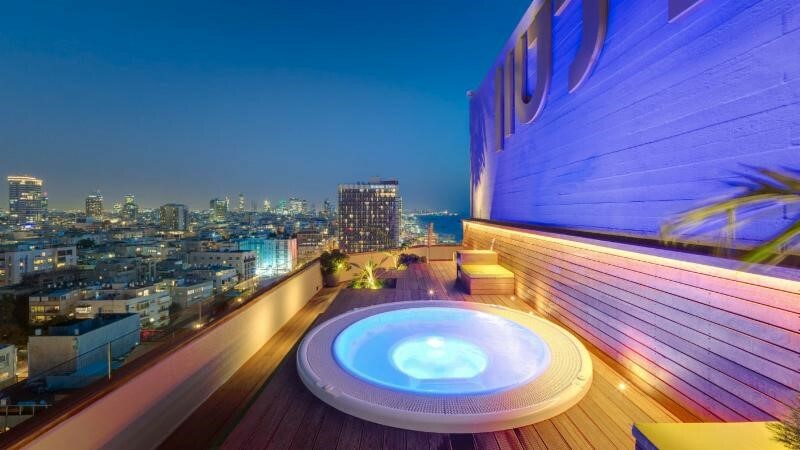 Carlton Tel Aviv is a 268-room luxury property located in the heart of the vibrant coastline of Tel Aviv, with a loyal base of guests from around the world. Carlton Tel Aviv underwent a complete renovation over a five-year period, with the final stages completed in 2016. Originally constructed in the Brutalist architecture style by famed Israeli architect Yaakov Rechter and opened in 1981, the recent Carlton Tel Aviv renovation included a head-to-toe makeover of its 268 rooms-and-suites; the addition of a rooftop, sea-view pool on the 15th-floor; the new design of Lumina and Blue Sky restaurants by the acclaimed Chef Meir Adoni; and the addition of five state-of-the-art event and meeting spaces, including the Magenta Hall, Carmine Hall, Azure Hall, Indigo Hall and the Foyer, along with interior and infrastructural upgrades throughout the property.